Abstract: Philosophical principles of recovery and justice are driving changing attitudes in the behavioral health arena, but the practical methods used to incorporate these principles needs further clarity. 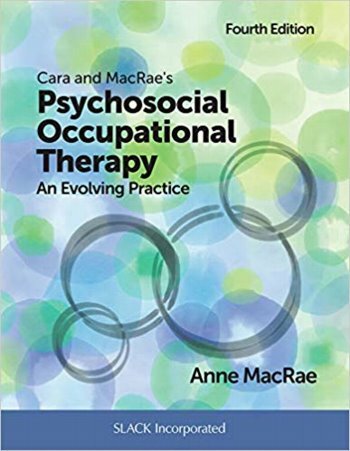 To address this need, Cara and MacRae.s Psychosocial Occupational Therapy: An Evolving Practice,Fourth Edition is completely revised and reorganized. Relevant information from previous editions, including assessments, techniques, diagnoses and specialized programs are interwoven throughout the text with a new emphasis on social issues and lived experiences.